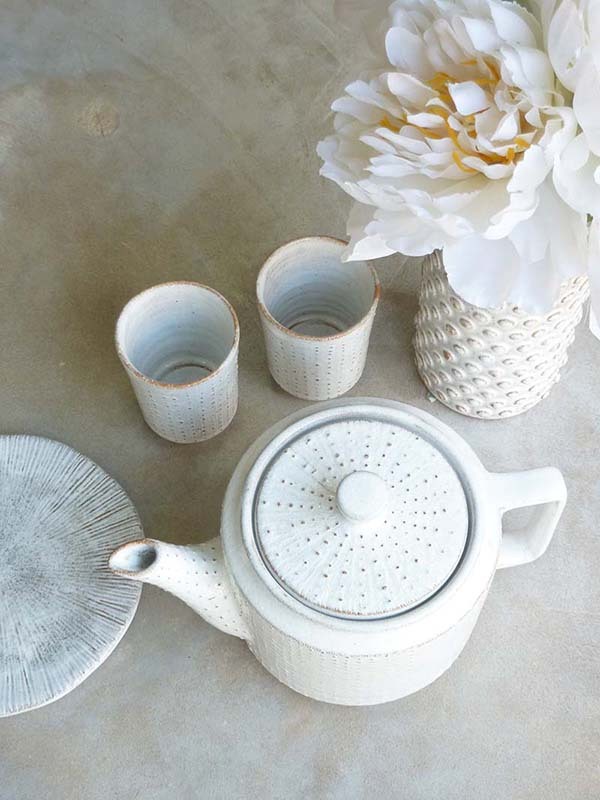 Our new ceramic collection is finally here! 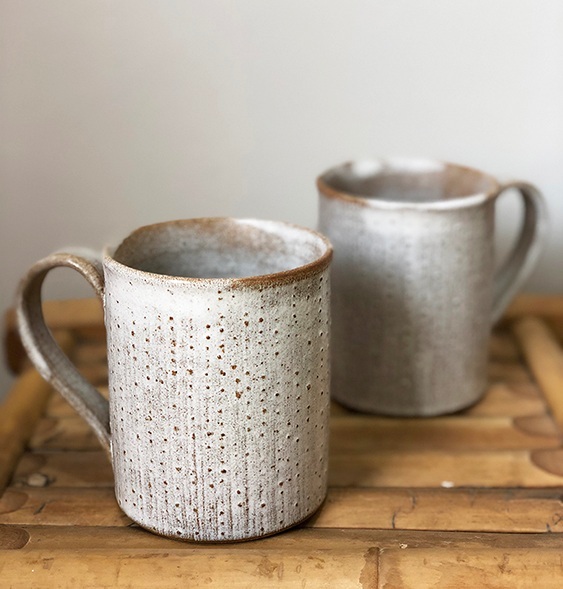 A continuation of our dot coral collection, these pieces are inspired by coral and the ocean, allowing you to mix and match both collections to create a beautiful variation of subtle textures in your dinnerware and homeware. Head over to our products page to see the whole range. Our new handwoven shibori tie dye silk scarf collection has finally arrived! 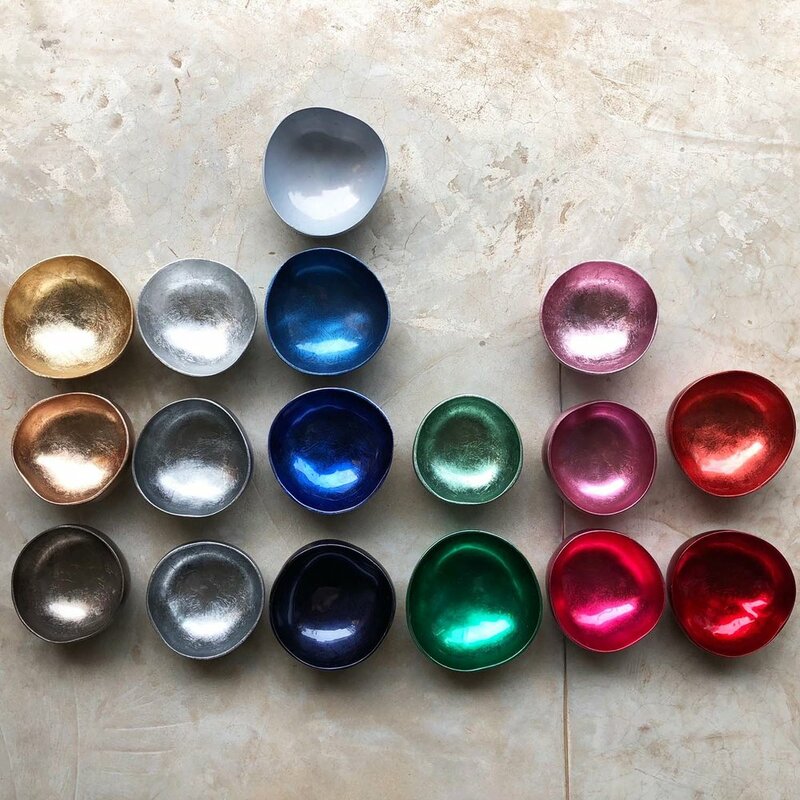 Head over to our products page for the complete colour range. We may have picked too many lemons over the weekend, which can only mean one thing… lemon drizzle cake! and homemade lemonade of course. Here’s our bounty spilling out of our new ceramic collection of shell bowls, dishes, coral bowl and a slice of homemade heaven plated up on our coral plate. Any excuse for cake… teatime anyone? We’ve added a new style to our natural horn bracelet collection, these thin bangles compliment the existing collection or can be worn by themselves. We like to wear them mixed together with the chunkier horn bracelets, the more stacked the better! Our lacquered horn bangles are now back in stock and we've even added some new colourways! Head over to the products page for full colour range. Indigo heaven! A few years back, after an amazing trip to Laos, we decided to bring some treasures home from our travels and introduce some indigo pieces to our store. 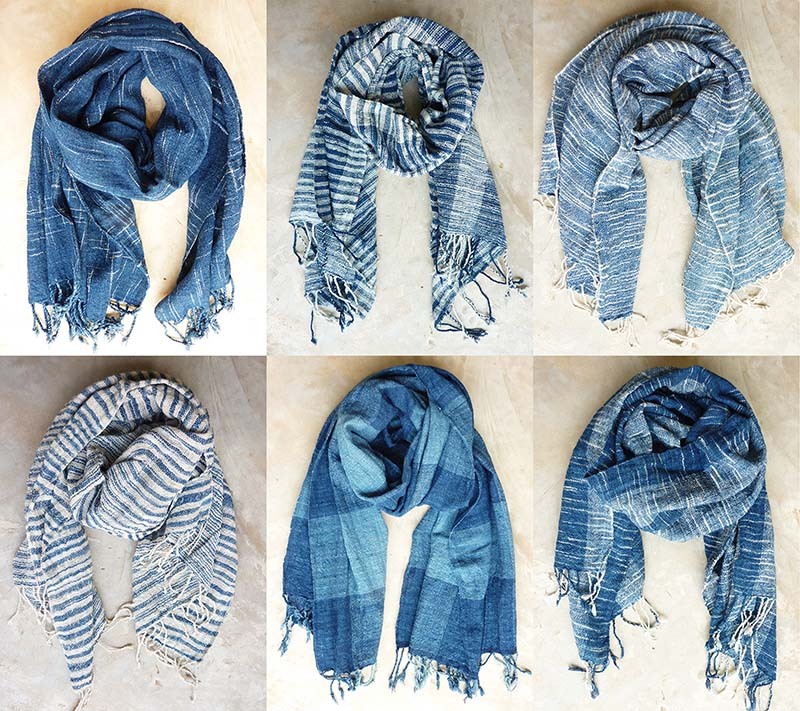 Needless to say, we fell in love with Laos and the beautiful craftsmanship we came across and now carry a range of heavenly handwoven cotton Indigo scarves and Indigo shawls. We've picked up some great treasures for our shop during our recent travels. One of our finds were these colourful English vintage children's birthday cards with beautifully written messages inside. We also found some for the grownups!